Primera Trio is the world’s smallest and lightest all-in-one printer. 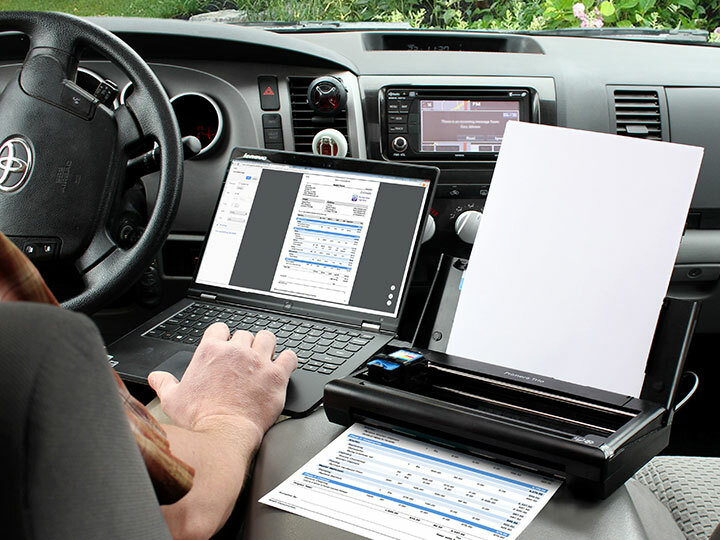 * It’s perfect for people who need to print, scan and copy while on-the-go. But don’t let its small size fool you. It’s got all the functionality you’d expect from any full-size all-in-one printer. A recent Time Magazine article said something about “the only thing you can’t do on the road is print.” Well, that’s no longer the case. With Primera Trio, you can print just about anywhere you can imagine. Bring it on planes, trains and automobiles. On ships and boats. To the beach or to the campground. To your hotel rooms in New York, Rio or Tokyo. 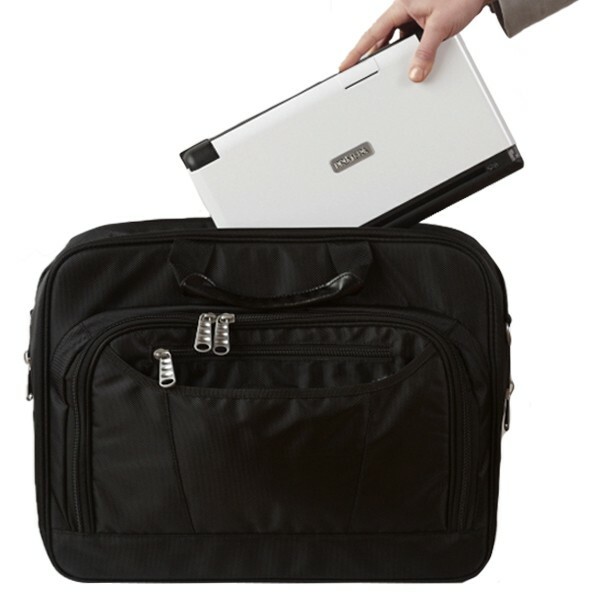 Anywhere you can bring your laptop, Primera Trio can now come along for the ride. Extend your productivity even further with the optional battery pack and vehicle power adapter. Print, scan and copy even when there are no power outlets in sight. You already know that hotel business centres can be a pain. If you can even find the place, does the PC work? Does the printer have paper? Even worse, recent studies have shown that many business-centre PCs are infected with viruses, malware and even key loggers that steal your user names and passwords. 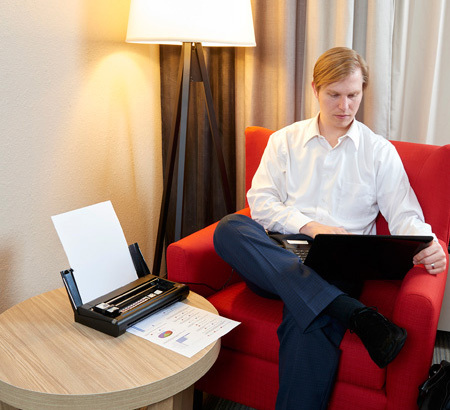 With Primera Trio, you’ll be printing safely and securely in the comfort of your own hotel room with a printer that actually works. 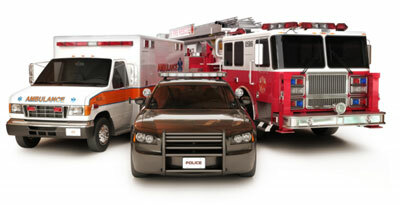 Primera Trio’s compact size and fully functioning printer with copier and scanner also make it ideal for public safety and other service vehicle applications. It’s perfect for printing full-page, photo-quality output up to 8.5″ wide, including documents such as e-citations, AMBER Alerts, warrants and subpoenas, accident reports and much more. Deploying it in your fleet will give your officers and employees more capabilities with better print quality than has ever been available in such a small package. Click here for data sheet. Out of the box, Primera Trio’s black and dark grey colour scheme looks about as sharp and professional as you’d expect. Bring it to the boardroom and impress everyone. Want to step out of the box just a little? 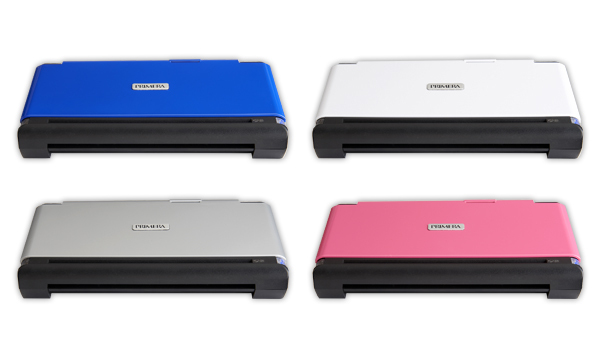 Snap on an optional blue, white, pink or silver cover to add your own personal touch of colour. Be sure to check out our full line of accessories specifically designed for Primera Trio. Our custom laptop bag features a special pocket just for Primera Trio along with side pockets for ink cartridges and power supplies. Customize your Primera Trio with a coloured cover. To keep your printer scratch free, pick up a neoprene sleeve for added protection. Don’t forget an extra ink cartridge or two and a battery to keep you productive when an outlet is not close by. 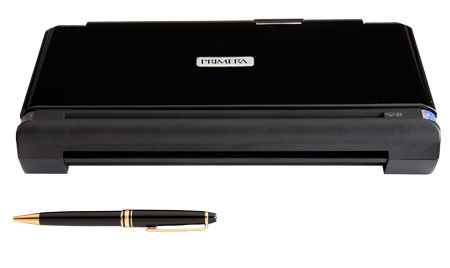 Primera Trio’s functionality is virtually identical to a full-sized desktop inkjet printer. It’s just a lot smaller. It prints in full colour or monochrome black at up to 4800 dpi. You can print onto full-size sheets of A/A4 paper, 4″ x 6″ borderless photos, card stock and even onto specialty media such as labels and postcards. Scanning resolution is a full 600 x 600 dpi. Copying is as simple as feeding the original into the rear paper slot and a copy is automatically printed.